Oppo F5 At ShiningZon, our vision is and has always been focussed on bringing a wide range of mobile phone accessories. As part of that vision, we are excited to launch our next range of protective mobile case. The ShiningZon Leather Texture Series TPU case has been carefully designed specifically for consumers who want both protection and aesthetics for their phones. The case has a leather texture, comes in 3 elegant colours, improved grip and fits perfectly on the phone. Improved Leather Texture Design : Unlike other leather pattern cases in market, ShiningZon Leather Texture Case with subtle stitch pattern gives a leather feel & look and make your phone stand out in the crowd. The matte sides eliminates the slipperiness hence improving the grip of metal/glass mobile phone. An All Round Rugged Protection: ShiningZon Leather Texture TPU provides 360 degree protection to your device in a slim profile. Air Cushion Technology and shock proof corners make your phone impact resistant on a drop. Its intelligently designed upper lips extend over the sides of the phone to give an extra safety to your screen and camera on a flat surface and even on a fall. Mobile Phone with a Back: The Leather Texture Cover is made from custom-made TPU which gives it a unique feel, the case firmly holds your phone and takes care for smallest details such as sensors, protruding camera, speakers. Superior Quality Materials: Every case is made up of high grade TPU materials that are non toxic & odourfree to protect environment and doesn't affect your health unlike other cases. It's flexible and random deformation & tearfree. Easy to install & remove, Easy Press buttons, anti fingerprint, anti scratch, washable. Note: TPU case may change its colour over time. 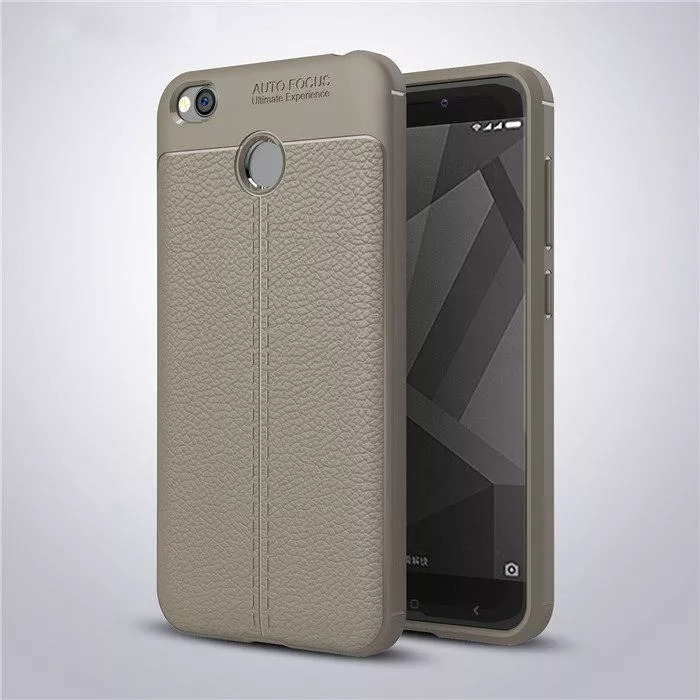 Leather Texture Case is a 3D texture moulded on a TPU case and not made-up of leather.